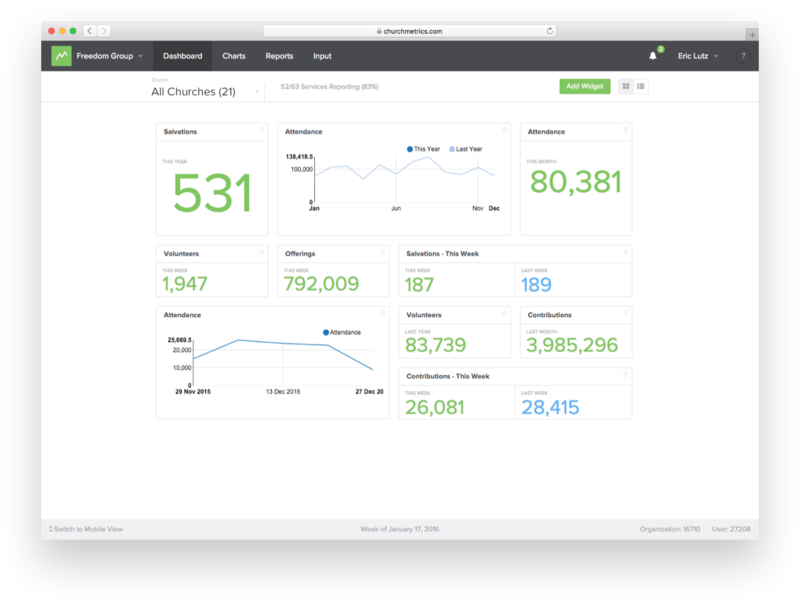 Church Metrics allows your denomination or network to see the stats from all of your member churches. Dashboards bring everything into focus. See the trends of your entire organization in less than a minute. Track what matters most to you. With the ability to create unlimited custom categories, you can track what’s most important to your organization. And when you can track it, you can use it to make decisions. Your Group categories integrate seamlessly with existing Church Metrics church accounts, and on-boarding is easy for new churches. See exactly what you want to see. Tags allow you to organize your churches as subsets within your Group. Create tags by geography, by time zone, by size, by launch date, by tier—by anything! Tags are completely customizable, and they allow you to drill down to just the data point you want to see. Creating a Group is easy, and linking your churches is even easier. If you think Church Metrics Groups would be a great tool for a denomination or network you work with, we’d love you to share it with them!